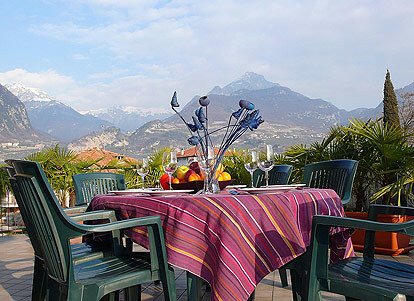 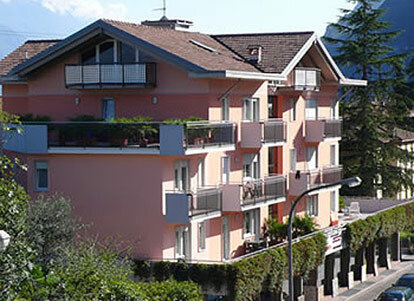 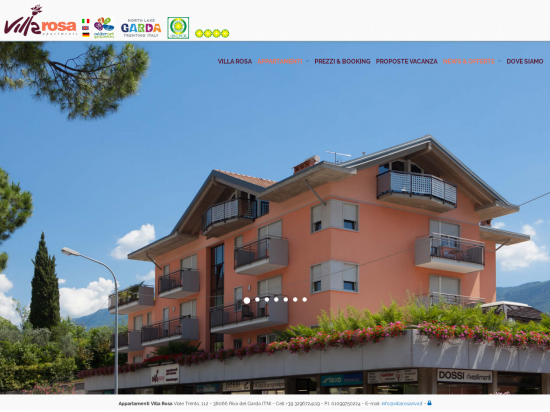 Villa Rosa is situated on the main street between Riva and Acro, in well accessible position, close to picturesque centre of Riva and from the beach. 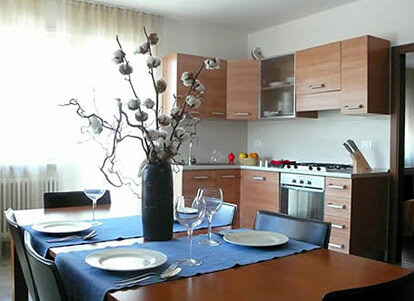 The recently build apartments provide high standard and are furnished comfortably. 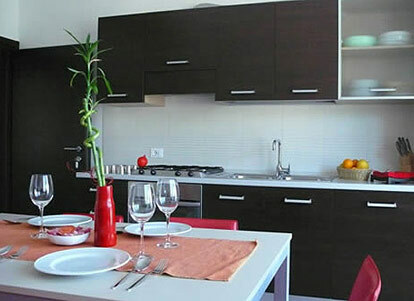 Every apartment has it’s own unique style with particular attention on material and furnishings. 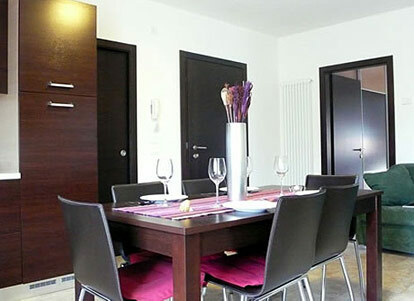 Each with heating and some with air conditioning, dish washer, Turkish bath, terraces or balconies to enjoy the beautiful panorama, all with oven and cooking space, tables for up to 10 persons and if required wireless internet access (hot spot).